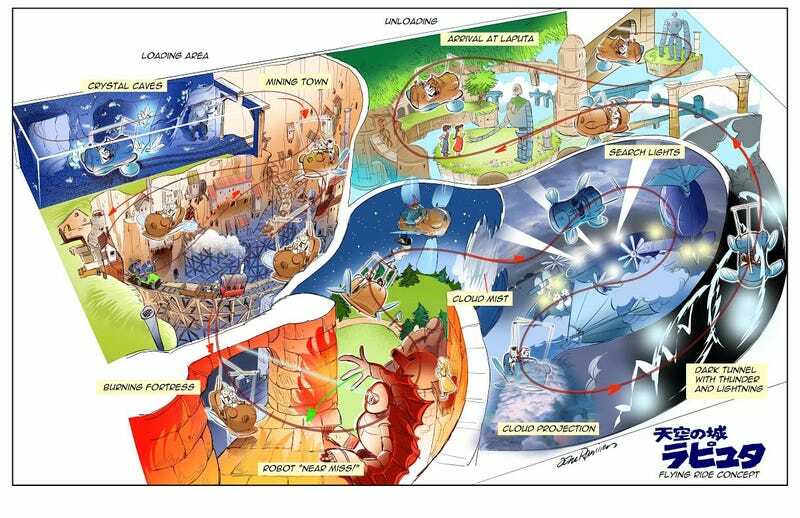 John Ramirez, whose actual job it is to design rides for Disney, had an idea for a Totoro experience. He now also has one for a Castle in the Sky/Laputa ride, too. It’s great. Perfect. The carriage, the sections of the movie you visit, the multiple appearances of the robots, it’s all the best. As you’d expect, since John’s a professional at this kind of thing! While it’s one of the most wonderful places on Earth, the Ghibli Museum in Tokyo is a very quiet and sedate place. Hopefully John can catch Miyazaki on a day he’s less grumpy than usual and convince him that maybe Tokyo Disneyland is a good place for rides like this.